I tend to decide what juice I will have each day depending on what is in the fridge to use. 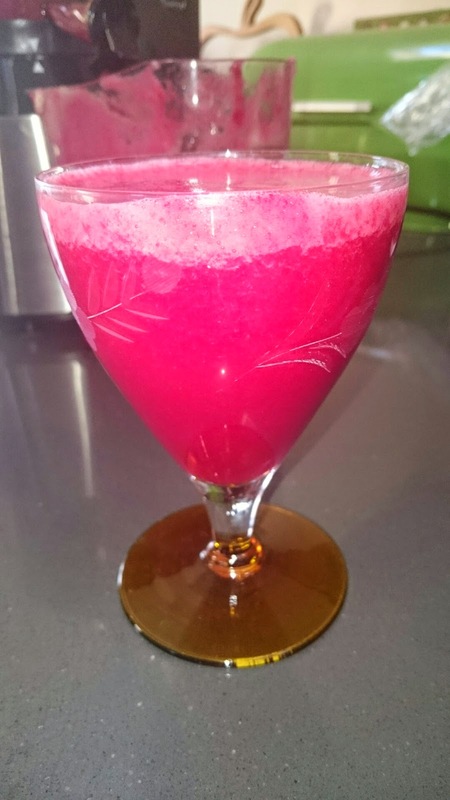 So today I made a juice with beetroot in it and thought I would share the recipe. It is super energising… result for a friday…. is great for your blood and it is jam packed with antioxidants. As ever I am not specific with exact ingredients so feel free to add more of your favourite flavour. Read more about my juicer here. Let me know what you think.